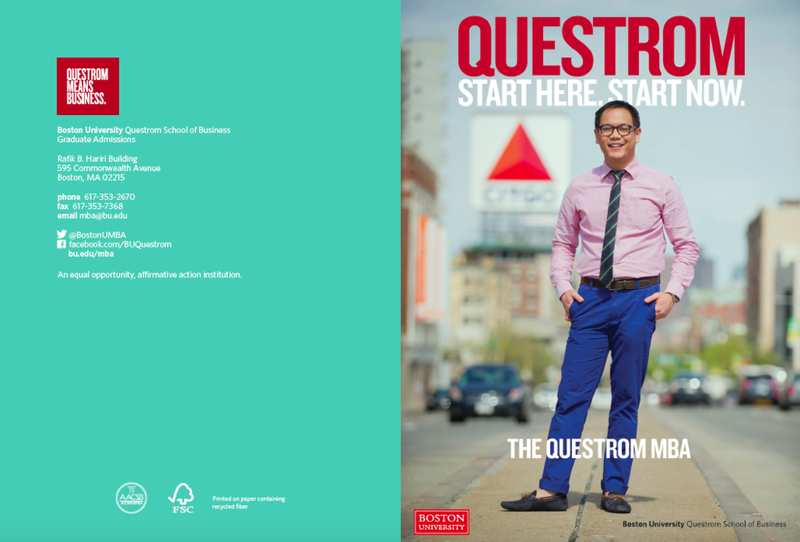 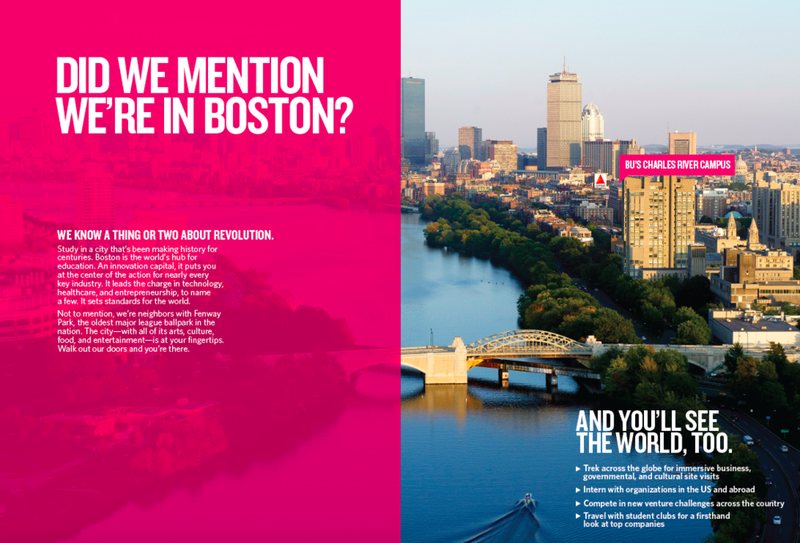 As the writer/editor at Boston University Questrom School of Business, my desk was home to just about every marketing piece you could imagine: promotional posters, one-pagers, event swag, our award-winning magazine Everett, lookbooks for Questrom's portfolio of programs. 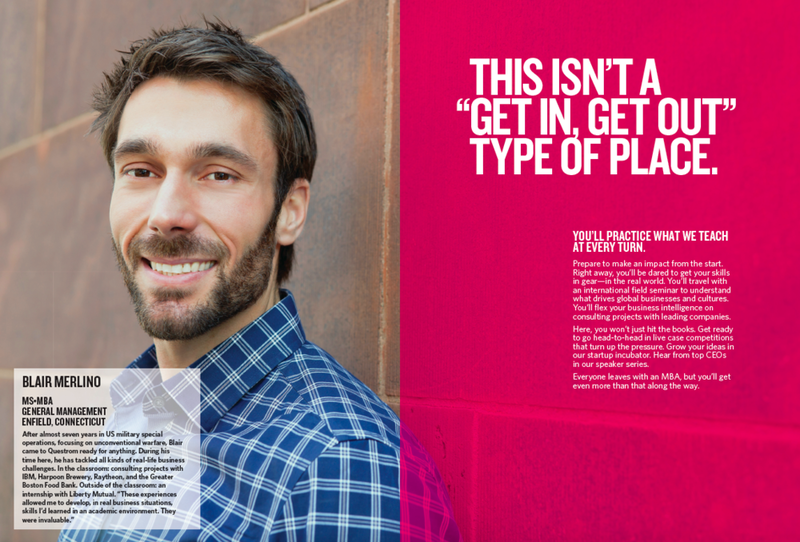 I constantly churned out copy — and used an eagle eye to edit all of it. 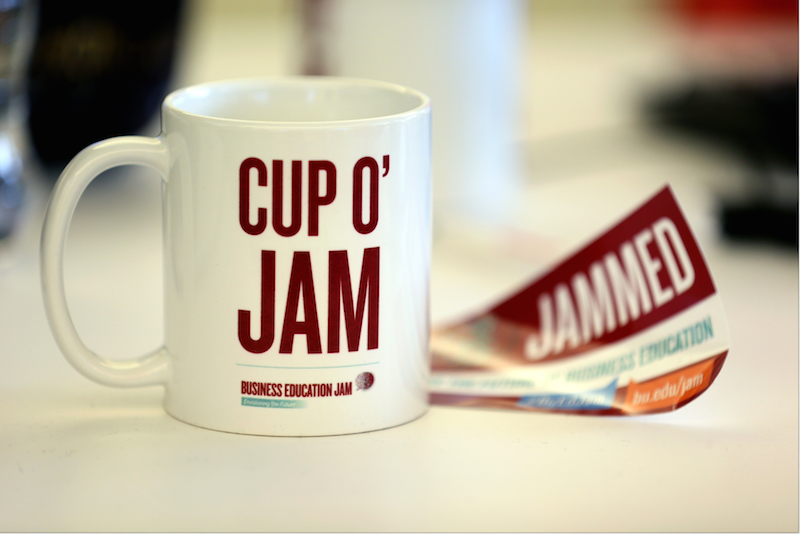 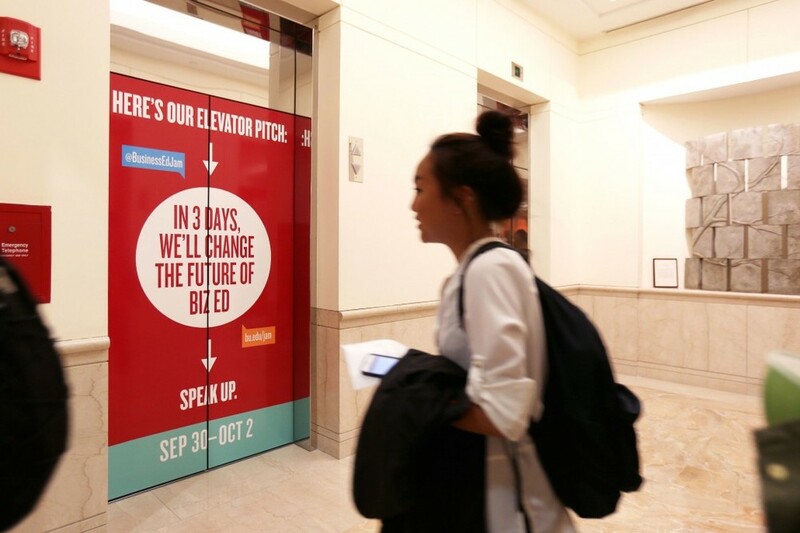 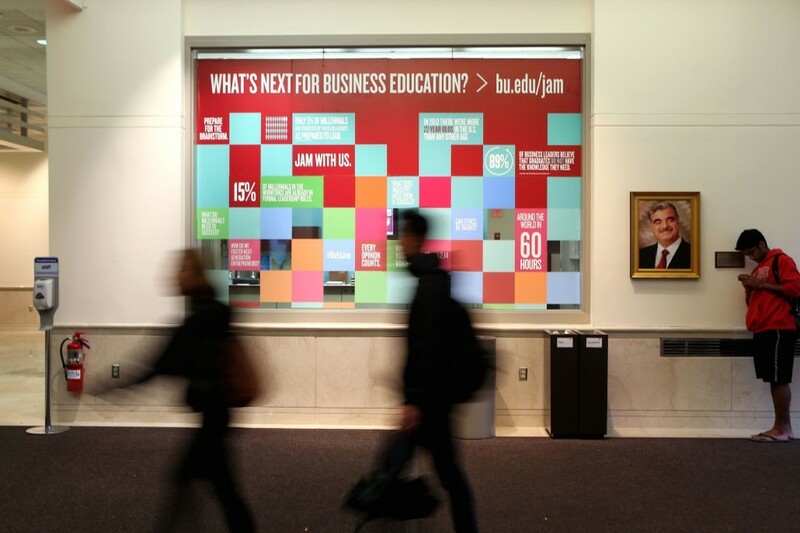 In collaboration with IBM and premier sponsors such as Johnson & Johnson and Santander, the Questrom School of Business launched the Business Education Jam: Envisioning the Future. 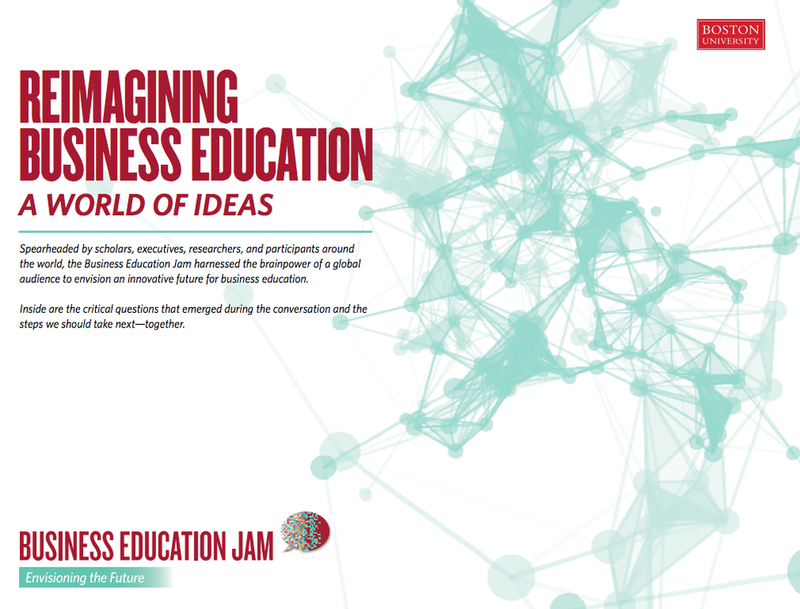 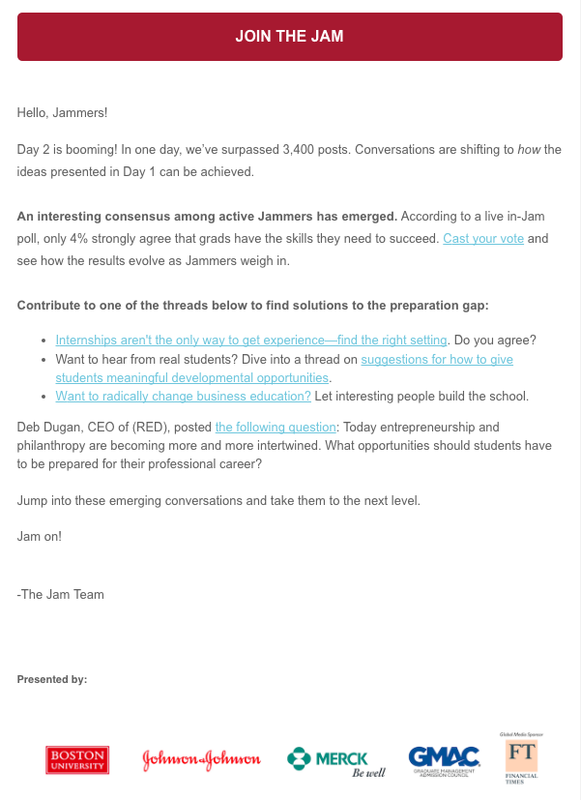 An unprecedented 60-hour online conference, the Jam united thousands of participants across the globe — students, researchers, executives, scholars — to brainstorm solutions to a more innovative future for business education. 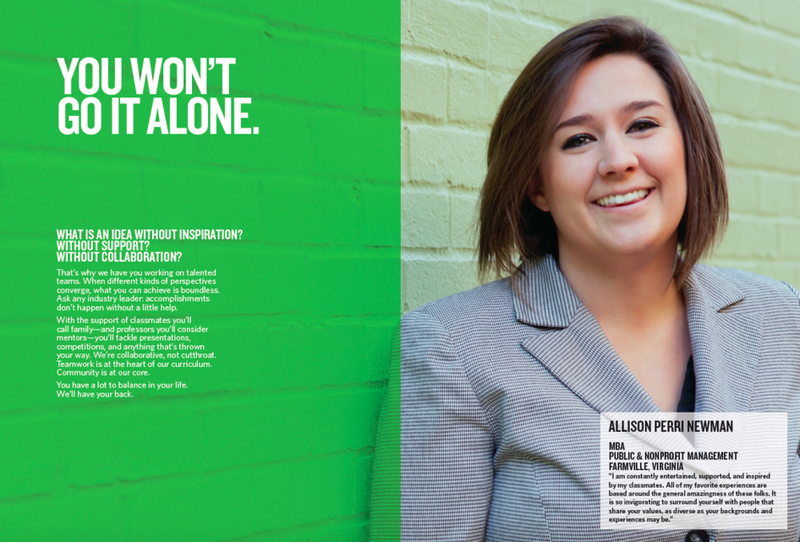 My part? 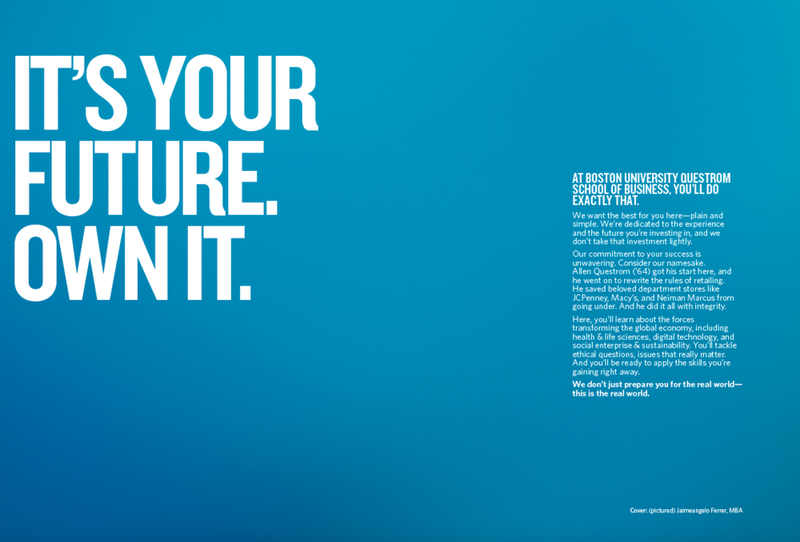 Writing copy to engage all of those audiences. 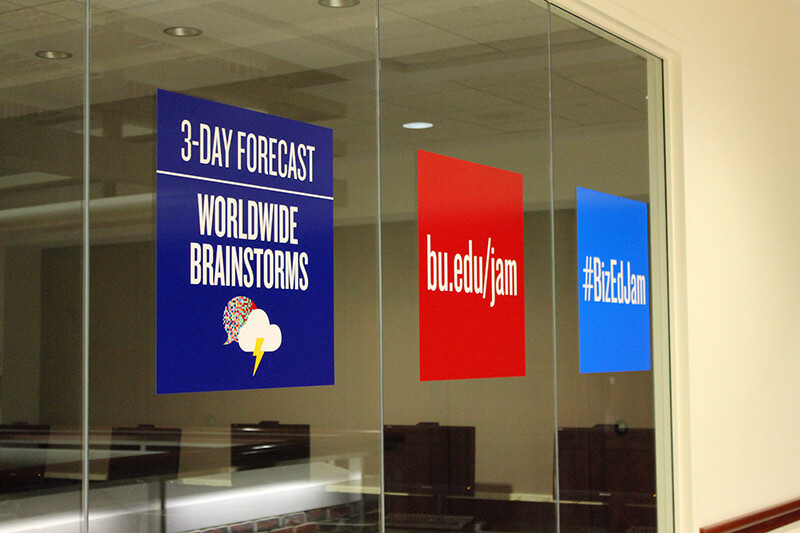 The words I wrote appeared on window clings, mugs, stickers, emails, fact sheets, our marketing website, and more. 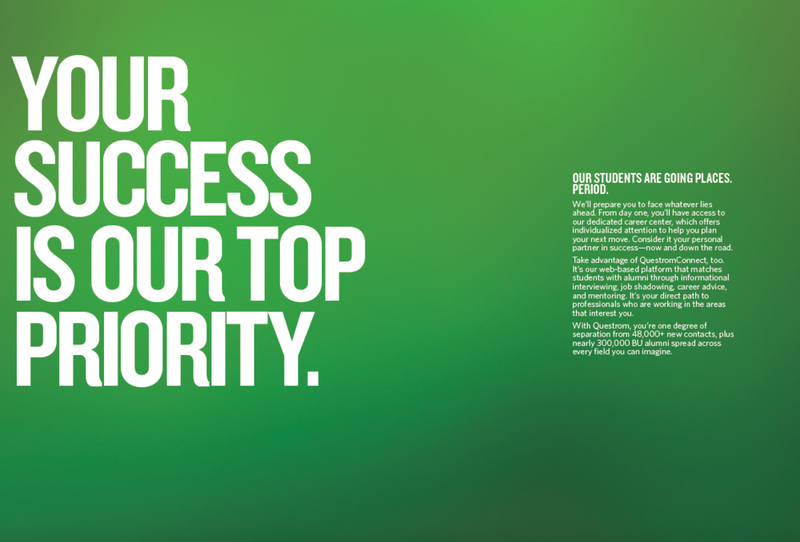 Our team's efforts attracted 6,000 registrants worldwide.